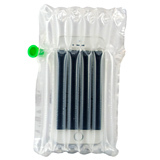 Suspending the product with compressed air and by cushioning the content from direct shock during transit, is a new and innovative way to deliver your products. 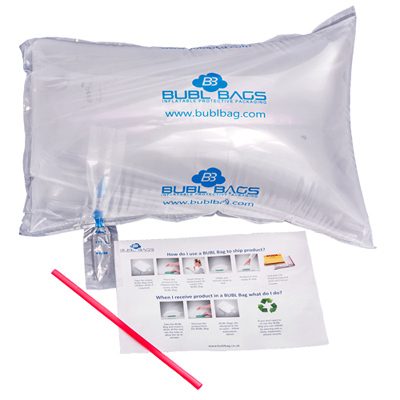 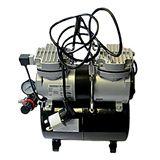 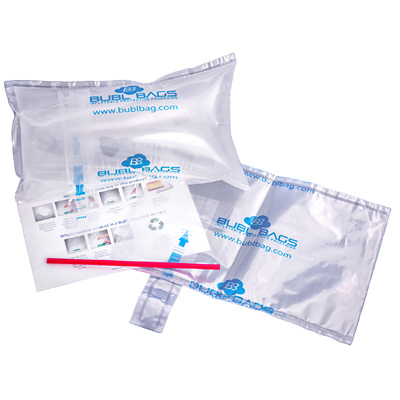 Just by simply placing the item in-between the folds, then pumping air into the Bubl Bag through the one way valve not only traps the air, but provides an ideal solution for fast paced environments offering the ability to scan the product through the clear bag whilst already pumped with air. 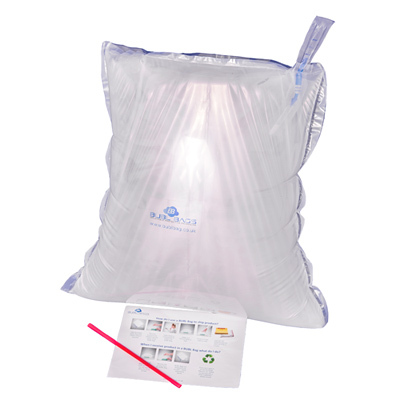 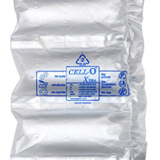 Made from reliable material, this easily inflatable protective packaging option can be reused numerously, saving businesses the hassle of purchasing and stocking one way void fill packaging materials. 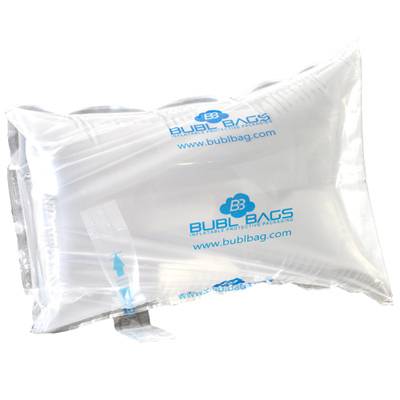 Looking to protect liquid or delicate items during transit, try these bubble pods! 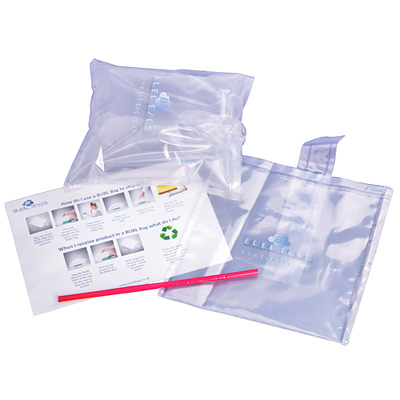 The space saving all-round protective packaging solution!